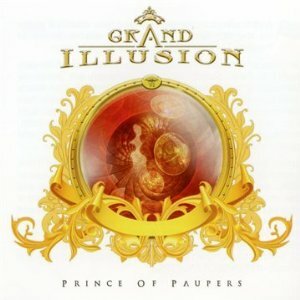 Sixth release from Swedish melodic metal outfit Grand Illusion yet I must admit my first taste and rather impressed I am too. Ice cool Scandinavian tones are littered throughout with some mind-blowing lush vocal arrangements from the dual vocal prong of Peter Sundell and Per Svensson (with the lyrics written by Arlene Matza-Jackson), whilst the bulk of the music is written, performed and produced by Anders Rydholm (keyboards, bass, rhythm guitars). Throw into the mix guitar solos by Steve Lukather (Toto), Tim Pierce (Rick Springfield, Micheal Jackson, Phil Collins), Jay Graydon (Airplay, Manhattan Transfer, Air Supply), Muris Varajic (a Bosnian guitarist and a real find) and Robert Säll and the whole package is more or less complete, aside from some extremely well done orchestrations. 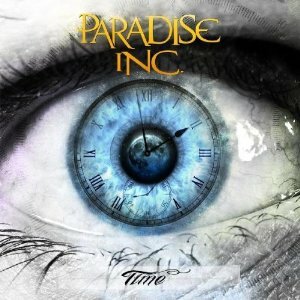 This is a big sound for sure, with excellent arrangements and a great production. Granted fans of the true metal might well guffaw at the melodic approach of Grand Illusion but those that appreciate well crafted and performed rock music will find an awful lot to enjoy on “Prince Of Paupers”. Highlights are plentiful but “Gates Of Fire”, “Prince Of Paupers”, “Eyes Of Ice” and “On And On” are amongst the pick of the bunch for me. Fans of the likes of Styx will get a big kick out of this, but then I hear some parallels in a more pompous way with fellow countrymen Nation in a lot of the big vocal arrangements. Fans of 1987 era Whitesnake will undoubtedly get something out of this – the sound though is always more European than American so keep that in mind. 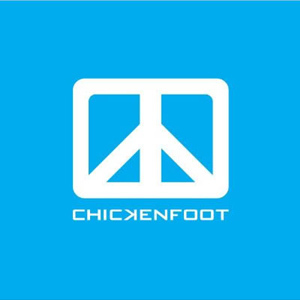 Overall this makes me very keen to check out the back catalogue and its easily the best thing I have heard in a long time from AOR Heaven. Melodic rock fans, add this to your shopping carts without delay. This entry was posted in Reviews and tagged grand illusion, Jay Graydon, Per Svensson, prince of paupers, review, Steve Lukather, Tim Pierce. Bookmark the permalink. Second strike from the Def Leppard wannabes otherwise known as Grand Design. Led by vocalist and producer Pelle Saether (Zeelion, Zello), “Idolizer” is in the same vein as the bands debut “Time Elevation” and again does everything it can to rewrite “Pyromania” or “Hysteria”. The comparisons are so blatant you can either praise them for being authentic enough to get the drum and guitar sounds nailed or indeed just shake your head and ask why bother? So as with the debut, if you want to hear stuff like the aforementioned Leppard albums – but again not as good – then Grand Design are for you. One presumes there must be a market for this to even get to second album, are Leppard fans really buying into this? Personally I’d rather just listen to Pyromania and Hysteria and hear it done perfectly by the originators. This is now starting to wear thin. 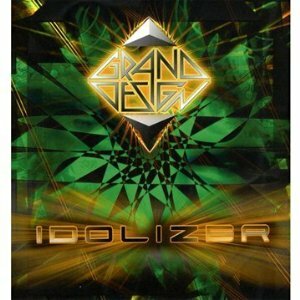 This entry was posted in Reviews and tagged DefLeppard, grand design, Hysteria, idolizer, Pyromania, review. Bookmark the permalink. 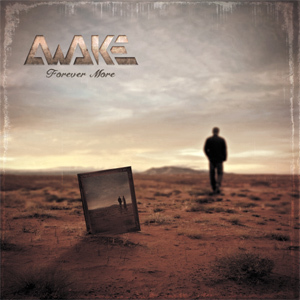 Awake’s 2007 debut ‘Illumination’ was a solid debut, if a little too Evergrey in places (but then it was produced by Tom Englund) so its with interest we see where the band is now at 4 years later with album #2 ‘Forever More’. First thing we notice is a change in band personnel with a new guitar tag team of brothers Andy and Steven Coles and then some great cover art, and upon first listen the Evergrey edge of the debut has mostly been replaced with a more original sound and one that is still to our liking; but one that still retains the elements that made the debut enjoyable. Heavier and more direct than many of their Lion Music label brethren such as Sun Caged, Seventh Wonder etc, Awake are all about big heavy riffs, with atmospheric keyboard parts and dark vocals. The band is also more intent on working a song as opposed to flawing us with their technical brilliance. Most tracks are concise clocking in around the 4 to 5 minute mark with short solo passages but are arguably more enjoyable for this trait. After a brief instrumental opener “Into The Storm”, the 1-2 punch of “Out Of Control” and “Release Me” are powerful dynamic numbers with some scorching guitar riffs and excellent kick drum work from Alex Townsend not to mention solid vocals from Simon Shedwell. The more mid tempo water of “Drifting Away” is dark and oppressive and rather tasty all round and this vein is continued for “Taken”. The piano darkness of “Closing The Doors” is gothic in nature before “Bleed From You” displays a keen commercial edge and moves at a swift pace and is a highlight. From here on in with get more of the same as before really, but the quality level is on a par with the rest of the album with later highlights coming in “Hold On”, the multi-faceted “One Wish” and the closing title track which is home to a killer chorus and some more tasty riffery, a nice way to go out. With “Forever More” Awake have cleared the difficult second album hurdle with no problems. More coherent and powerful than the debut in all departments this is a progressive tinted metal band the UK can be proud of and should see the band score a wider fan base. One to check out. 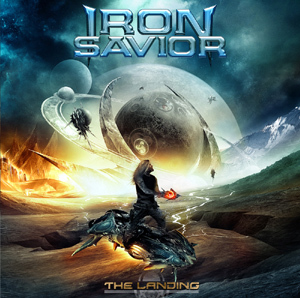 This entry was posted in Reviews and tagged Awake, dark, Evergrey, Forever More, illumination, Lion Music, metal, prog, review, Tom Englund. Bookmark the permalink. Sure, the music has that seventies, British hard rocking vibe. It’s exciting, upbeat and surprisingly heavy in places. There’s even a slightly punkish edge to some songs, like the kicking “Fade To Dust”. For some reason, I’m thinking “Gillan” while listening to this album. Only with better songs and a completely different singer (more in the vein of John Sykes, actually). The guitar playing is of the meat and potatoes variety. Solos that fit the tunes, but nothing that will make you look up and go wow. The poppy “Something She Knows” is as close as it gets to Lizzy. A rough and ready hard rocking album. Simple as that. 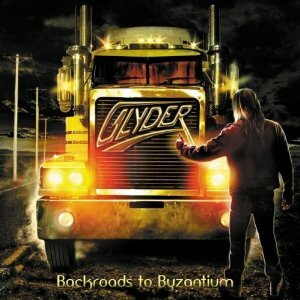 This entry was posted in Reviews and tagged backroads to byzantium, Glyder, review. Bookmark the permalink.